Becoming a leader? Sure – but not without your support, boss! We all want our employees, the rookies and the seasoned, the ones who are the best fit for our organization and the positions at all levels, to be competent, committed and, most of all to contribute to the organization’s success. According to one of the better-known HR gurus, Dave Ulrich, the next-generation leaders, the ones I call rookies above, most probably are competent i.e. skillful, and committed, i.e. willing to do the work. But unless they are allowed and supported to make a real contribution through the work (finding meaning and purpose in their work), their interest in what they are doing diminishes and their willingness to offer their full potential in the organization fades. Ulrich continues that contribution occurs when employees feel that their personal needs are being met through their participation in their organization. Survey after survey point out that opportunities to develop oneself on the job is on the top of the list of factors keeping especially the younger generation representatives in the organization. Talent management - identifying, attracting, developing, and retaining talent - is on the top of the list of urgent issues for HR function and top management alike globally. According to one survey (PWC 2012) 93% of CEOs say they recognize the need to change their strategy to attract and RETAIN talent. So why is it that the pivotal part of Talent Management - development - is so often granted for those whose talent or business skills have been proven by standard measures (those that refer to past performance), and no investment is made in developing the competencies and business acumen of the future leaders, whose motivation and engagement is very much dependent on his or her perception of how willing the employer is to do exactly that; invest in the development of the young, willing and able. Corporate Leadership council argues that deepening the leadership bench in an organization requires a focus on talent “deeper in the organization” i.e. the middle managers or young professionals starting their career. They need to create a pipeline of future executive by accurately identifying and developing talent at all levels of the organization, not just on the top! I could not agree more! Formal training is not the full solution, but certainly a step not to be ignored. In other words, the good old “70-20-10” formula has not lost its charm. Development of people is 70 percent on the job experience, 20 percent feedback and reflection and 10 percent formal training. A modern Executive Education organization, like Aalto EE, is totally aware of the importance of experimentation and learning by doing, in other words we are making sure that the 10 % has an impact on the 20%, which is always an integral part of our solutions. All our programs, especially Boosting Your Leadership Skills prgroam, targeted to less experienced future leaders, provides participants possibilities for myriad of ways to reflect, discuss, chat, network and coach one another. All that has positive ramifications upon the 70%. And, especially in the case of the younger leaders, provides opportunities for exactly what they are expecting to get in order to stay with you; development opportunities in order to better contribute! The diamonds in the rough really make a difference when polished in the right way. One last reference to a survey; according to BCG survey “Decoding global talent”, 63 % of especially young workers are willing to move to another country to work, young Finns in the survey represented the 50-60% group. So beware, when they leave, they go far! Development ladder does not need to be straight and upwards, you need to provide your young leaders with difficult assignments, too. That is the best way to test your young leaders and develop them. Aalto EE programs are a good testing ground! Also the ladder needs to be “owned” by the individual him- or herself, the organization provides the opportunities and the boss is the supporting unit. People development is one of the most important leadership skills; let us remember that, too. Taking initiative on one’s own development is a necessity and a clear sign of a high potential. But the boss and the organization need to be there for support and provision of opportunities. 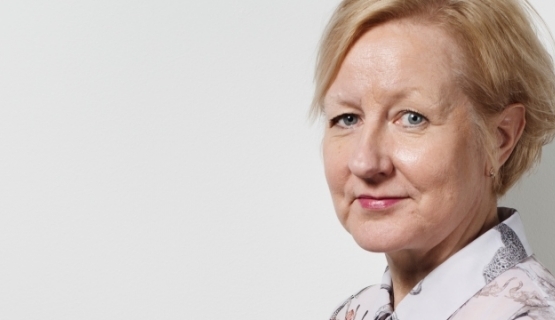 Dr. Riitta Lumme-Tuomala is Head of Growth and Director, Russia and Talent Management at Aalto EE. She is one of the instructors in Aalto EE's Boosting Your Leadership Skills program. Currently reading: Aalto Leaders' Insight: Becoming a leader? Sure – but not without your support, boss! My View: Work Is Changing – And so Should LeadershipThe fourth industrial revolution is shaking up the way we work. The end is not in sight quite yet, but leaders need to be awake. Supervisors Need to Internalize HRM PracticesWhat is the most striking difference? Experience is not enough even for humanitarian aid organizationsComplex conflicts set new competence requirements for non-governmental organizations working in the field of humanitarian assistance. What is strategic rewarding?The investment in employees is generally substantial, but how many companies really know what they get in return, says Aino Tenhiälä. Three recipes for strategic HRThe three basic things every organisation should consider while building HR practices and managing human resources by Kristiina Mäkelä. Talent management in the brave new worldToo few companies pay enough attention to allocating effectively the internal talent they have.